The Gitananda Society Germany was founded by a group of Yoga teachers and practitioners in October 2004. Its aim is to spread the Rishiculture Ashtanga Yoga Science, i.e. Gitananda Yoga, in Germany. The Society has been authorized by the ICYER (International Centre for Yoga Education and Research) to be their only legitimate representative here. The Centre is a place of exchange of ideas and events for Yoga practitioners and interested people and it provides qualified Yoga teachers. It serves as a connecting link to ICYER, Ananda Ashram in Pondicherry, South India, with its preparatory courses for the education of Yoga teachers. 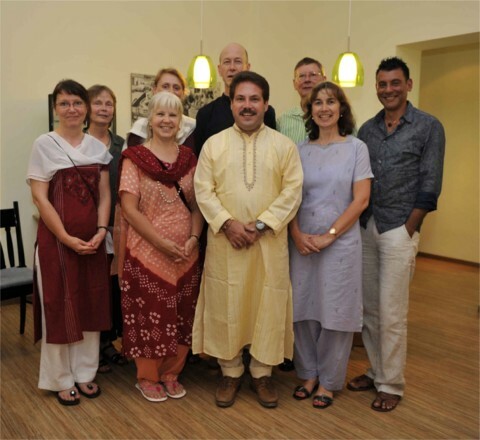 The Gitananda Society Germany offers various events to their members; lectures, workshops and seminars about the science and practice of Yoga. It invites guest lecturers and teachers from home and abroad.